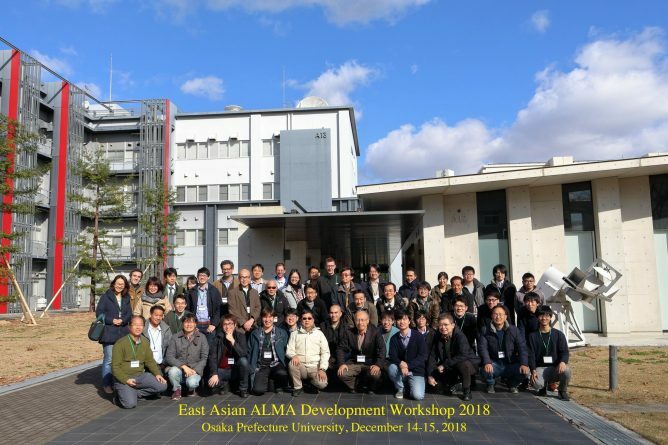 From December 26 through 27, 2017, the two-day ALMA/45m/ASTE Users Meeting was held at the NAOJ Mitaka campus. Active discussions were made among approximately 120 researchers who attended the meeting from Japan, Taiwan, and Korea. 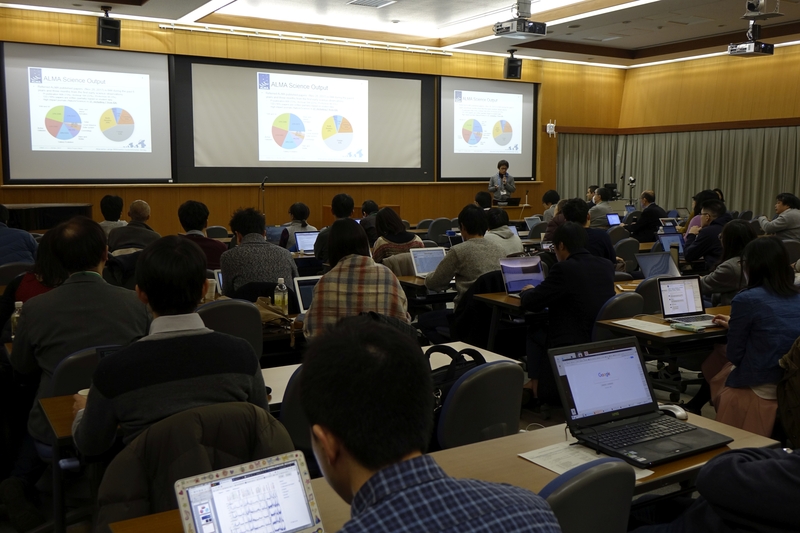 The ALMA/45m/ASTE Users Meeting is a forum among NAOJ staff members operating the ALMA Telescope, Nobeyama 45-m Radio Telescope, and ASTE Telescope and the users of these telescopes including researchers and graduate students in Japan and overseas. The purpose of the meeting is to share the present status and future plans of each telescope and utilize the feedback on operations from researchers for the future. 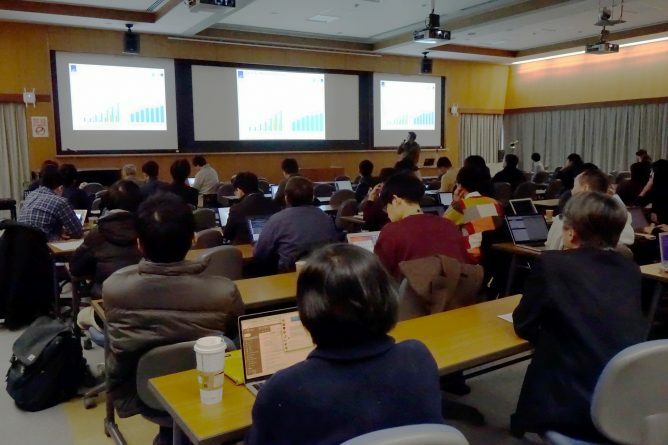 NAOJ aims to encourage powerful researches taking advantage of unique features of each telescope by organizing the joint users meeting of three radio telescopes at millimeter/submillimeter wavelengths. In the ALMA session, following the introduction of the current status and the latest scientific results of the telescope, there was a presentation on the new observing capability for the next cycle of scientific observation whose call for observation proposals are open until April 2018. 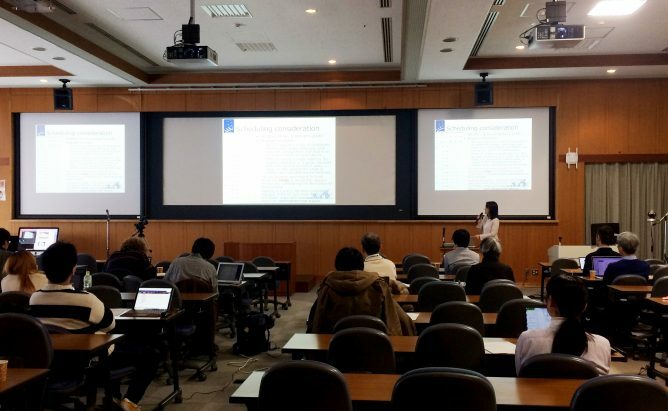 Also, there were presentations given by NAOJ researchers and engineers on the status of the future development plan and data analysis software development, as well as poster exhibitions on the scientific results of related researches. On the second day, tutorial training was given to beginner researchers who are not familiar with ALMA so that they can learn the data format and contents that are openly available in the ALMA data archives and the flow of analysis processing. The users meeting this year attracted the remarkably increasing number of young researchers compared to last year, which may be attributed to the extraordinary results achieved by ALMA over recent years. 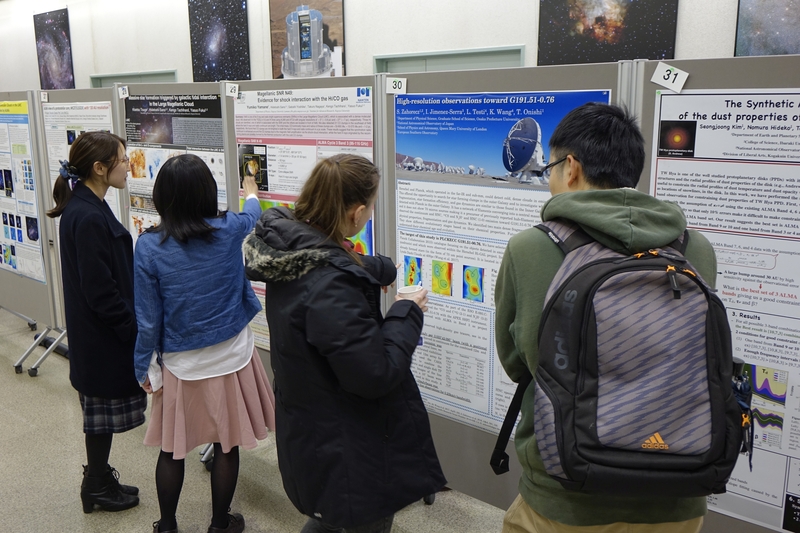 Active discussions made among young researchers at various parts of the poster exhibition area for the three telescopes.